Hi I’m Steven, and I want to bring OpenTechSchool to Australia. I’ve been away from Melbourne for a while; I left in October 2011 to travel and just got back. There was a fair bit of volunteering done, and OpenTechSchool in Berlin is doing some pretty cool stuff that I’d like to bring home. I was working mostly on Python workshops for beginners, as well as writing communications and running the social coding course. I think they are pretty cool. OpenTechSchool teaches for fun, to empower people, and to break down barriers around learning programming. 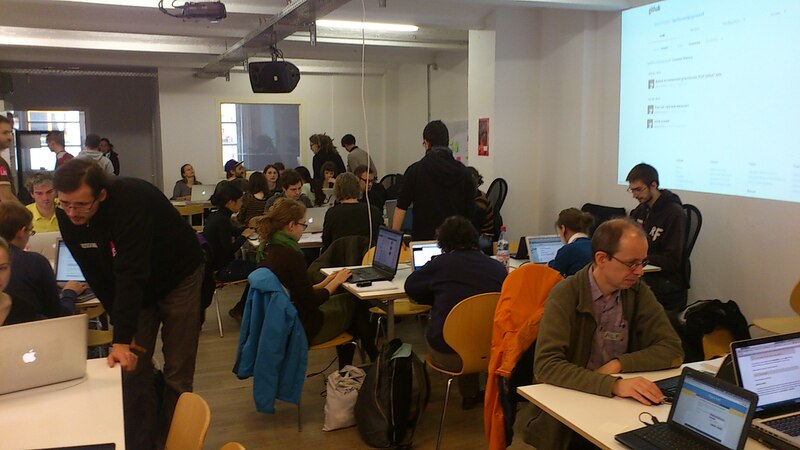 It’s beginner-focused, technologically agnostic, and we have lots of cross-pollination between RailsGirls / Geek Girls / OTS in Berlin as well, which would be great to get happening here. The thing is, I don’t know of many meetups and workshops in Melbourne anymore. Of the ones that remain, well, I don’t really want to make another “programmers” meetup group, since this is not really what OTS is about. 90% of the people who come aren’t programmers, but rather designers, product managers, business analysts, project managers, technical writers, visual artists, and a lot of others. Every event usually has at least 50% female participation as well, and I don’t think I can get those sorts of results on my own. There is so much potential here, though. Melbourne seems to have some interesting things going on. For one, I seem to know a ton of programming parents who want an environment to teach programming to their kids. We already do a visual programming course with Python Turtle, which would be pretty fun to adapt so parents can come and teach their children. Web is also popular, and I see some interest in Arduino and Raspberry Pi as well. Anyway, I could definitely use some help, especially in finding core members. I would like to get the word out about OpenTechSchool starting in Melbourne, but what I need right now is people for the core organisation work, so that it’s not just crazy Steven with his crazy plans for crazy workshops. I need people to join me in doing the “boring” stuff (it’s not really boring because we’re doing it together!). Working venues, publicity, scheduling, meetings. Many of the core team don’t even develop the workshops, because we make it easy for people to volunteer for coaching and create the learning material. You don’t need to be a programmer to be a core member. I just want to find people who also believe in OpenTechSchool and what it has to offer. Please pass this on if you know anyone who might be interested. Or if there are any cool retro bike shops, trendy hole-in-the-wall coffee places, or laneway-off-a-laneway cocktail bars where there might be people who are interested, then pass it on as well. If you yourself like what you see, then drop me an email.